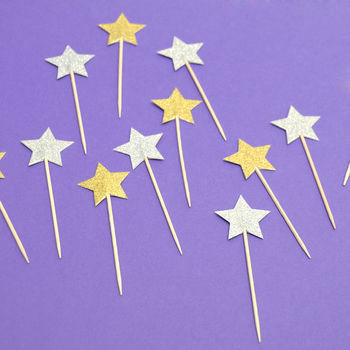 Sparkly gold and silver star cake and cupcake toppers to add a glittery touch to your birthday or wedding cake! Add these sweet toppers to your birthday cake, wedding cupcakes or even to your party cocktails to add a glamorous touch! 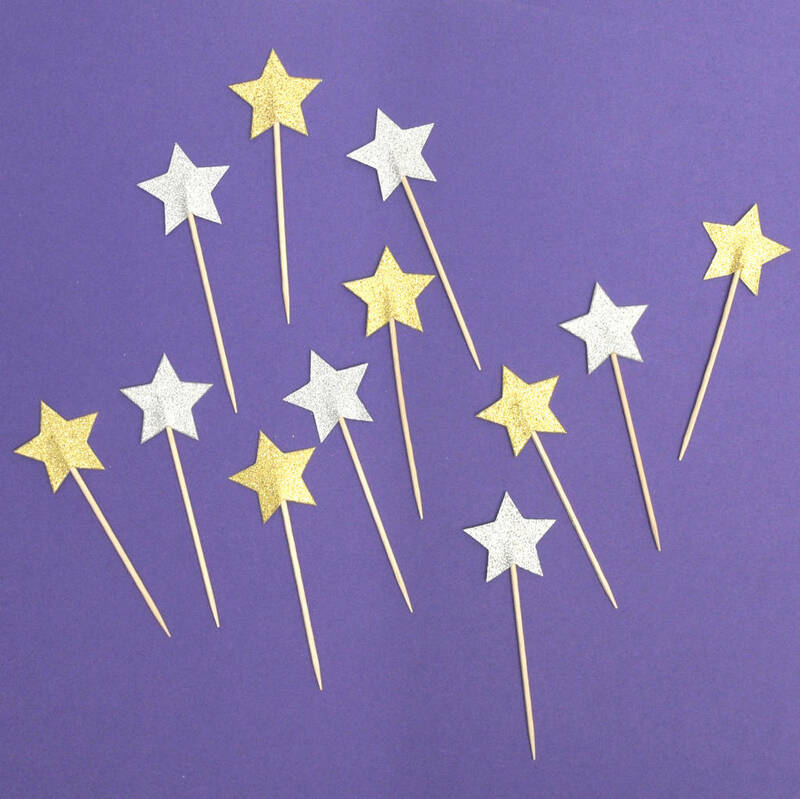 This mix of gold and silver star picks will bring the glitter factor to your celebration and will ensure your guests know you've thought of all the finishing touches. 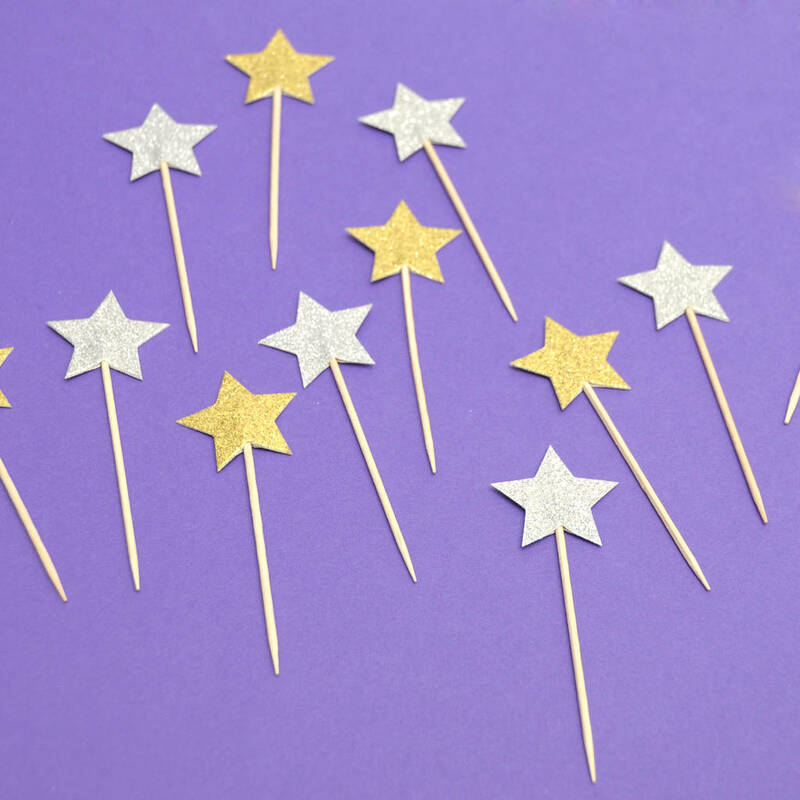 Simply pop these in to the top of the cake or add them to cocktails for a truly sparkly touch! 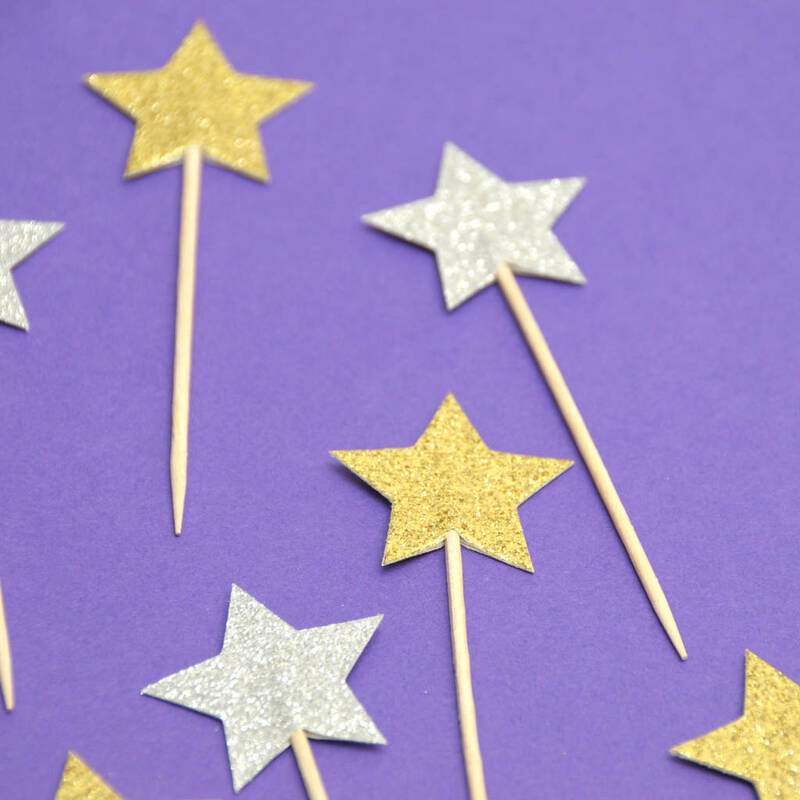 Glitter card stars attached to wooden sticks. Pack of 24 picks. One pick measures approximately 9cm.